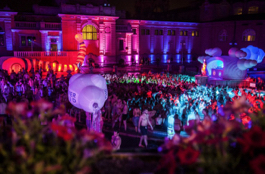 Upcoming pool parties in Budapest spa baths, Szechenyi Baths. 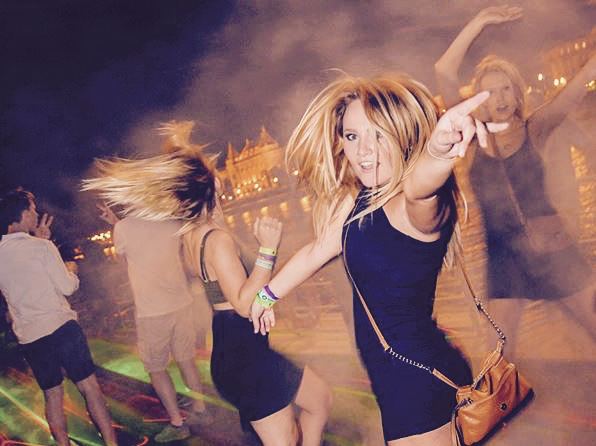 For Friday nights we suggest hitting the dance floor and having fun on the Budapest Party Boat (booze cruise & dance), while for Saturday nights plunge in the party pool in the thermal baths in Budapest! 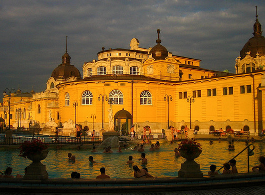 The winter 2019 Cinetrip party date, also known as the pre New Year’s Eve Bath Party has not been fixed for Dec 30th in Szechenyi Baths yet, but it is very likely to be the date (as in the last few years). 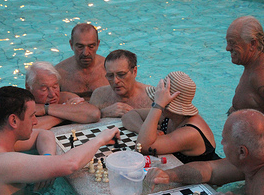 From Nov 01 to Dec 20 the pool parties are also held in Szechenyi Baths. 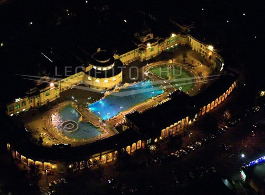 Szechenyi Baths steam clouded hot spring pools are the special place to be on Dec 30 in 2019 – the date is not official, tickets are not available for purchase yet, but we will soon start ticket sales, and are quite confident that 2018 will find us in the pools! The party will be on Dec 30 (not on Dec 31) this year too. Enjoy it as a pre NYE party of the year! Buy your ticket online as early as you can! Looking for an awesome party for the New Year’s Eve, Dec 31? 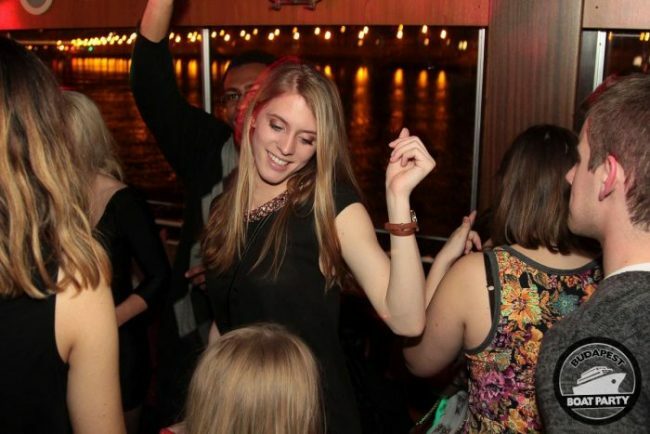 Our partner, Budapest River Cruise, is preparing with an all night New Year’s Eve Party Cruise, so check out their news for the exact details. Hi, will you have any the weekend of Christmas or late December ? 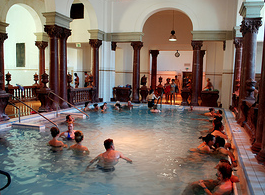 The big spa party will be on 30 December. Hi can you tell me if there will be a winter bath party on 7th-9th February 2020?